Begging is an attention seeking behaviour. 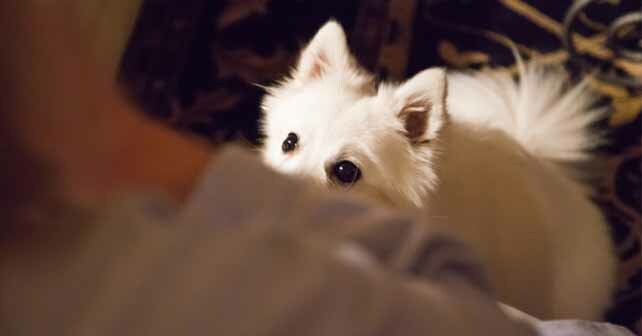 Whilst begging might appear cute at first when your dog pines for the last scraps of food on your plate, it can quickly become a nuisance habit. Dogs will only pester you when they are rewarded with what they are seeking. Should you choose to ignore the behaviour, the dog will quickly learn it’s efforts will not be rewarded. There are different types of begging behaviour and the most common behaviour occurs around food. If your dog bothers you while you are eating, and it isn’t asking to go outside ignore the behaviour. If your dog jumps up to sit next to you, tell it to get down and if the attention seeking continues long enough, a loud, very short, sharp “Shh!” should stop him for a moment. Do not acknowledge the behaviour and eventually the dog should stop pining. Ignore the dog, even if he continues to sit in front of you, watching you. But more importantly, do not reward the dog if it stops pining and sits quietly as he will still be rewarded for sitting and waiting for scraps. Over time, your dog will learn that these efforts for food will be fruitless and the behaviour for disruptive begging should disappear altogether. Dogs should ideally be fed after you. This acts as a subtle way of showing who the hierarchy of the ‘pack’ in your household is – The last one to eat in the house should be the dog. If you find that your dog is begging for his dinner while you are eating, ignore it and feed the dog half an hour later to put a large enough gap between the initial begging and his food, to stop the appearance of you feeding him as a reward for his begging.